If you think you left the madness, the chaos, and the absurd part of the world back in 2017, I am sorry to be the person to tell you that you were definitely mistaken. It has been only three days into the new year, and we already have the most WTF piece of information to have you questioning people on this planet. According to a report by Deccan Chronicle, a 29-year-old man from Andhra Pradesh has come forward to claim that Bollywood actress Aishwarya Rai Bachchan is his mother - and how we wish we were kidding! 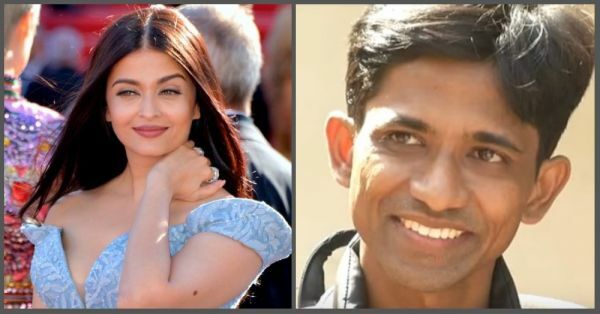 Sangeeth Kumar, who adds 'Rai' after his first and middle name, claims that Aishwarya gave birth to him in 1988, six years before she won the iconic title of Miss World in 1994, through an In vitro fertilisation (IVF) process, but doesn't have proof to support his claim. Of course, that totally makes this 100% legit, duh. Based on the report, Kumar told the media in an interaction in Mangaluru, “I was born to her by IVF in London in 1988. I was brought up in Chodavaram from age three to 27. I was with my grandmother Brinda Krishnaraj Rai's family at the age of one and two in Mumbai. My grandfather Krishnaraj Rai died in April 2017 (March), and my uncle's name in Aditya Rai". Which means, if the date based on Kumar's claims hold true, Aishwarya was 15 years old when she gave birth to him - and if that's not the most absurd thing you've read today, ladies and gentleman, I don't know what is! And if that wasn't bizarre enough for you, listen to this - Kumar also stated that Aishwarya has separated from her husband, Abhishek Bachchan and now 'lives alone'. “My mother got married in 2007 with Abhishek Bachchan and she is separated, living alone. I want my mom to come and live with me in Mangaluru", he said. "It’s already 27 years since I separated from my family, I miss her a lot. 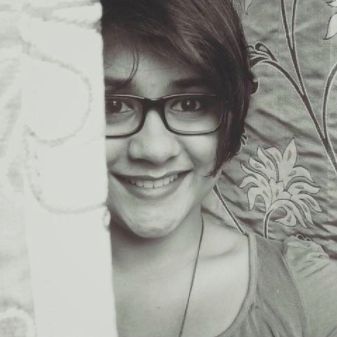 I don’t want to go to Vishakapatnam, at least I want my mother’s number so that I’ll be free." See, now we aren't saying we haven't felt like we belonged to the world of celebrities. Who wouldn't love to be a part of some of the most influential families in Bollywood, especially to the Bachchan clan, who are considered the royals of B-town? But when we are so obsessed with the industry and its stars, and clearly have seen the lovely Aaradhya grow up to be a beautiful little lady thanks to her mum and dad, Abhishek and Aishwarya, it boggles my mind to think such wildly imaginative claims STILL make it to the media... that too without proof! “I’m getting enormous headache and anger at my native place, most of my relatives have manipulated things since childhood, otherwise I would have come back to my mother before itself with clear information", Kumar added. "Due to lack of information, I could not come to my mother, so now I got all clarity. The ultimate thing is I want my mom." Here's wishing you all kinds of good luck to be able to prove you're Aishwarya Rai Bachchan's forgotten child born of an IVF treatment she underwent when she was 15 years old, Sangeeth Kumar. Godspeed!